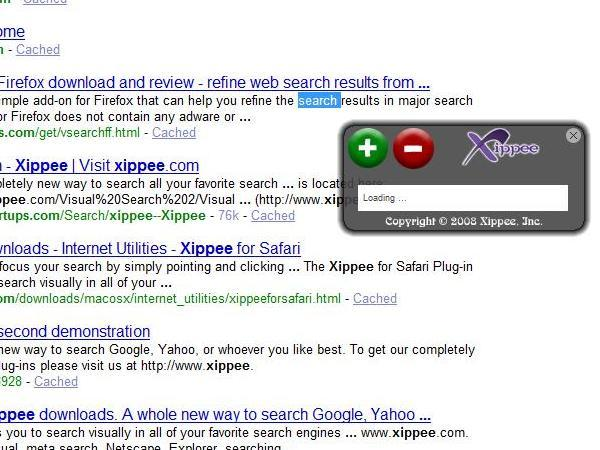 This free Xippee browser plugin works on all of your favorite search engines (Google, Yahoo, MSN), with versions for IE, Firefox, Safari, and Opera.Xippee for Opera UserJS 2.5 is licensed as Freeware for the Windows operating system / platform. Xippee for Opera UserJS is provided as a free download for all software users (Freeware). 4 Then go to Tools->Preferences->Advanced tab->Toolbars section and un-check double-click text to display context menu. Qweas is providing links to Xippee for Opera UserJS 2.5 as a courtesy, and makes no representations regarding Xippee for Opera UserJS or any other applications or any information related thereto. Any questions, complaints or claims regarding this application Xippee for Opera UserJS 2.5 must be directed to the appropriate software vendor. You may click the publisher link of Xippee for Opera UserJS on the top of this page to get more details about the vendor.